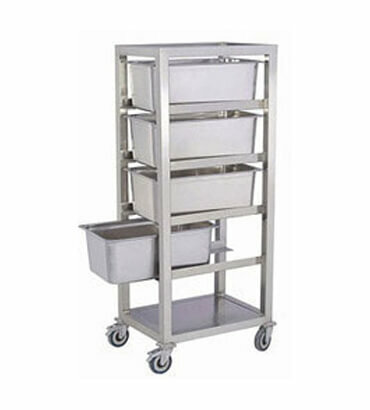 Food Pan Service Trolley Manufacturer in India, Food Pan Service Trolley Supplier in India, Food Pan Service Trolley in India. We have come up with a versatile range of Food Pan Service Trolley in India which is light weight and can be moved from one place to other conveniently. These trolleys are widely appreciated in the market for durability and corrosion resistant features. Our trolleys are available in different shapes and sizes.